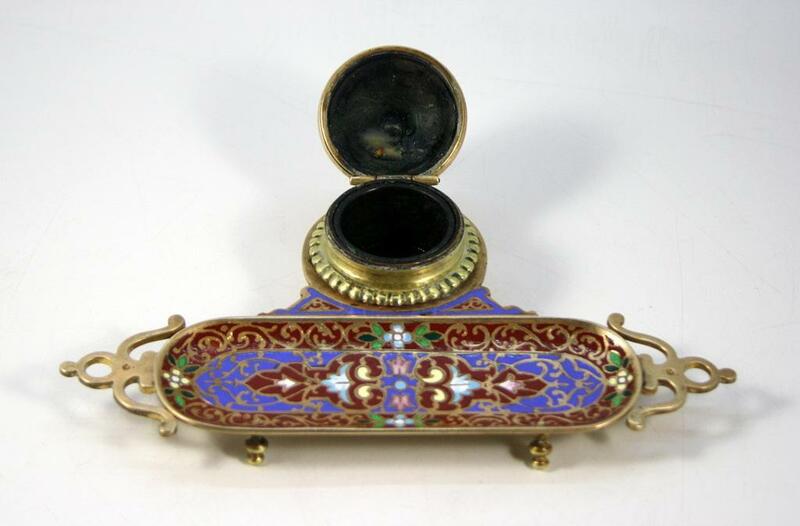 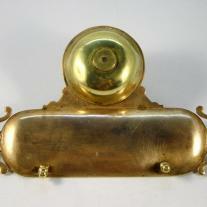 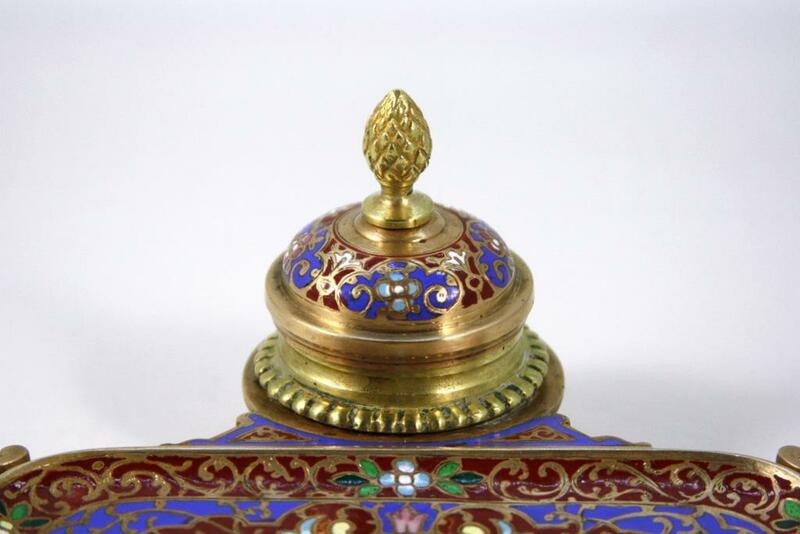 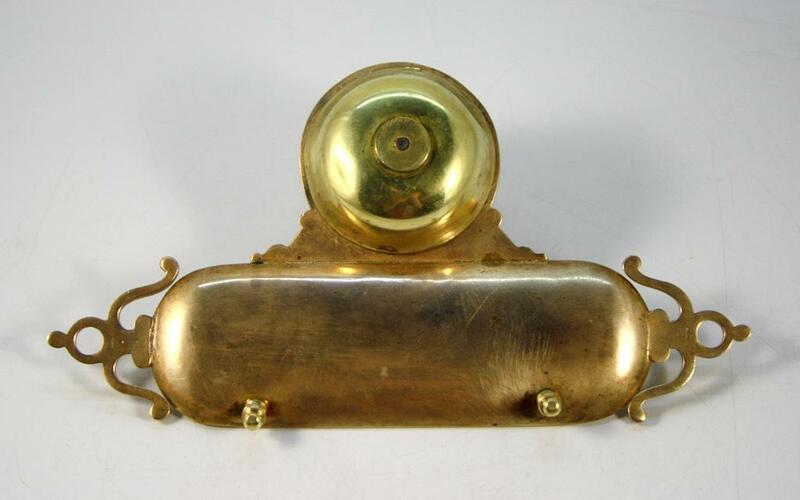 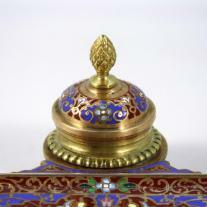 A bronze and champlevé enamel inkwell. 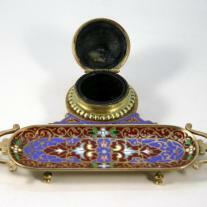 The enamel in colours such as: Blue, yellow brown, light-blue and others. 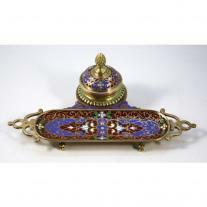 Marie Antoinette Enamel Plaque Signed "Gamet"